When we speak of holidays to Turkey, budget holiday-goers tend to run away like rats from a flood. Flights are expensive, the holiday season ensures that things are expensive, the hotels are expensive and almost everything worth doing, in Turkey, is expensive. It almost seems as if no one has ever heard of anything called cheap holidays to Turkey. Until now! Turkey is full of sights and sounds that will tingle your senses and no, you don’t need an off-shore bank account to enjoy any of it. Here’s a look at some of those attractions that are cheap and cheerful in the least! 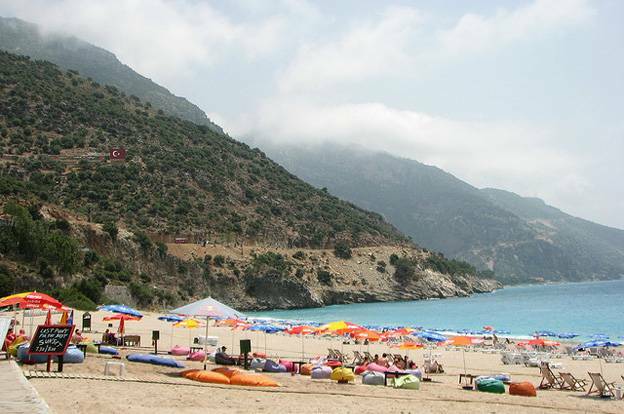 As far as beaches are concerned, Oludeniz is one of the most beautiful beaches in the world. The name itself means “dead sea” but there’s nothing dead or dying about the fabulous weather at this tiny beach resort town. The beach is one of the most photographed beaches in the world and when you are tired of walking around in its pristine beauty, there is the small drive down to Kelebek Vasidi, or the Butterfly Valley, that will give you a taste of Mother Nature and her beautiful creations like nothing you’ve seen before. What the Ottomans chose to be their main residence, today is one of the largest and most beautiful museums in the world. A UNESCO World Heritage Site, the Topkapi Palace is a throw-back to the times of this magnificent empire, and its contents, today, include some of the world’s most precious artefacts. The palace is a massive monument built over 7.5 million square feet of area, and has robes, murals and treasures from one of the most powerful empires of the Muslim world. When it comes to rivers with a significance, few match up to the Bosphorus and its billing as the dividing line between the continent of Europe and Asia. As the most prosperous continent and the largest are divided by a thin line of water, it gives you an opportunity to travel along the border of these two continents, and compare the charm and beautiful sights of both sides. 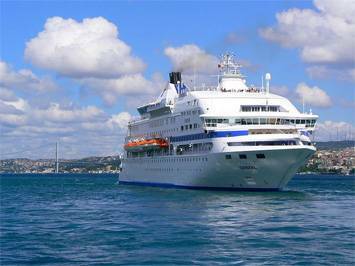 As you head down the river, you cross the magnificent city of Istanbul, getting immersed in the cultural mix of two distinct continents with two distinct flavours. There are small markets and there are big markets; and then there is the Grand Bazaar! Located in the middle of Istanbul, you can turn your Turkish holiday into something more than a trip to the beach by heading on down to this ancient market tradition that has been on since 1455. There have been fires and natural disasters, but nothing has been able to dent the tradition of this 3,000 shop-strong Grand Bazaar. Today, as it did six centuries ago, the market still stands as the world’s largest marketplace! 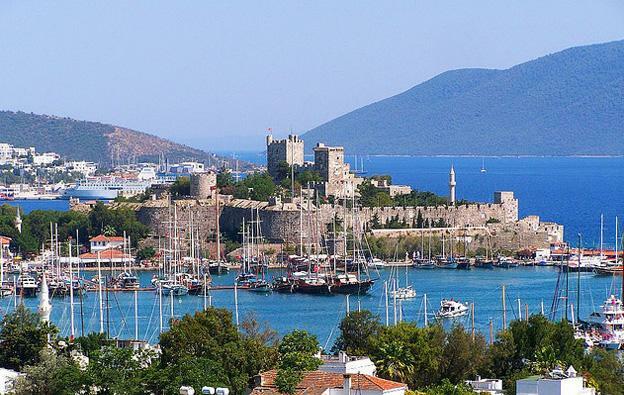 Finally, you come to the Bodrum Castle that is a 15th century construction and a symbol of the crusaders and their time in Turkey. The castle rests right next to the Aegean Sea, looking out over the land it was built to defend. The castle also has a museum on Underwater Archaelogy, containing extremely valuable and interesting artefacts obtained from shipwrecks around the area. Turkey is a place of mystery, modern entertainment and historic treasures. It is a fine blend of things old and new, simple and complex, and European & Asian. When you head out to this beautiful land, don’t think that you would be putting your house up for sale because there are cheap places to enjoy Turkey through, as long as you look for them. With the number of Cheap Holidays to Turkey that Camilla has under her belt, she could easily be considered as an authority on the subject matter. Taking her three children around is quite a task for this single-mother and school teacher, but she ensures that her world isn’t restricted by her budget. She hunts high and low for the best bargains and isn’t ashamed of pinching pennies wherever she can. We just got back from a Sail Turkey trip and loved it. Definitely going to go back either end of this year or early next year.